Women’s Community Matters recently received £1,000 from the Barrow Community Trust. Rebecca Rawlings, Centre Manager tells us how the grant has helped the group: “The grant has allowed us to employ staff for additional hours to carry out the ‘Volunteer Co-ordinator’ role. We determined that the most cost effective way to manage the situation was to engage two current staff members in this role. drop in times and activities due to a number of the sessions being supported by volunteers. Our Cooking Together project is staffed and led by volunteers. It is incredibly popular with up to 22 different women attending one of the sessions. There are usually around 14 different women who attend each week. We would not be able to continue with this project without our volunteers and we would not be able to offer our volunteers the support they need and deserve without the volunteer co-ordination time. “The volunteer co-ordination time has been used to develop a volunteer recruitment plan, provide ongoing monitoring, and training and support for volunteers. This has improved volunteer retention and satisfaction and our volunteers feel valued and listened to. 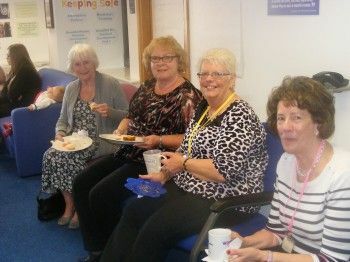 “Having the addition time also enabled us to host a Volunteer Celebration event where we recognised the efforts and commitment of all our volunteers. 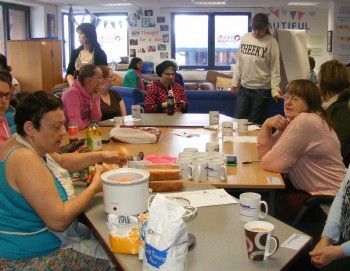 Find out more about volunteering opportunities with Women’s Community Matters in Barrow here. To find out more about the grants available at Cumbria Community Foundation visit our grants page or get in touch.